Your automobile may provide you with several tax deductions that may lower your income tax. As with all deductions, it’s important to maintain accurate records of your expenses. You cannot deduct commuting mileage – that is, mileage from your home to your regular job. If you use your car for business purposes, you may use either the standard mileage rate or actual car expenses. If you are self-employed and maintain an eligible office in your home, you can deduct the mileage to and from your client’s or customer’s place of business, as well as between jobs. As an employee, you can deduct mileage between jobs or to a temporary assignment. The IRS defines a temporary work assignment as lasting a few days or weeks, but less than a year. If you do not have a regular place of business, you can only deduct your transportation expenses to a temporary location outside your general area of employment. If you are an Armed Forces Reservist, you can generally deduct your transportation expenses to attend meetings. The meetings must take place on a day that you normally work. You cannot deduct expenses for transportation on a day you normally do not work. If you travel and stay overnight to attend a Guard or Reserve meeting, you can deduct your travel expenses. There are two ways to calculate your auto deductions – the standard mileage rate or actual expenses. These methods are available whether you own or lease your vehicle. For most taxpayers, the standard mileage rate is easier to use. For 2013, the rate is 56.5 cents. To calculate, multiply the rate by your business miles to figure your deduction. In addition to the standard mileage rate, you can also deduct the cost of business-related parking fees, tolls, and state and local taxes not paid with the acquisition or disposition of the vehicle. If you are self-employed, the business percentage of the interest on your car loan is also deductible. Actual expenses such as the cost of gas, oil, insurance, repairs, maintenance, tires, washing, licenses and depreciation or lease payments are eligible. You can also deduct the cost of business-related parking fees, tolls and state and local taxes not paid with the acquisition or disposition of the vehicle. This method requires you to save all receipts and keep very detailed records. If you use your car for personal and business purposes, you’ll have to divide the expenses between the personal and business portion. Example: If you use your car 50% of the time for business and 50% of the time for personal reasons, you’ll only be able to deduct 50% of the cost of your eligible expenses. Note: Taxpayers who wish to use the standard mileage rate in lieu of actual expenses for computing deductible vehicle expenses must elect to do so in the first year. Switching to the standard mileage rate in a later year is not an option. You’ll need to keep accurate records of the miles incurred for business purposes, dates of business use, destinations and business purpose. You’ll need odometer readings at the beginning and end of the year to determine the total miles for the year for all uses. Tip: Keep a logbook in your vehicle’s glove box for recording the mileage. You’ll be able to easily calculate your mileage at the end of the year. You can use the same log to keep track of meals and other business expenses while you are on the go. The important aspect is to make sure you maintain accurate records. The IRS may disallow a deduction for mileage if you are unable to substantiate your deduction. If you use the standard mileage rate, you cannot use your actual expenses. If you use your car to obtain medical care in 2013, the medical standard mileage rate is 24 cents. Medical care includes trips to the doctor’s office, dentist’s office or to the hospital to obtain medical treatment. Parking fees and tolls associated with medical treatment are also deductible. If you choose to use actual car expenses, you can only deduct the cost of gas and oil, not depreciation, repairs, etc. Your tax preparer will add these expenses to your other medical expenses and deduct them on Schedule A subject to the normal limitations (10% of adjusted gross income). You can deduct 14 cents per mile if you use your car for charitable purposes. You can also deduct parking fees and tolls. 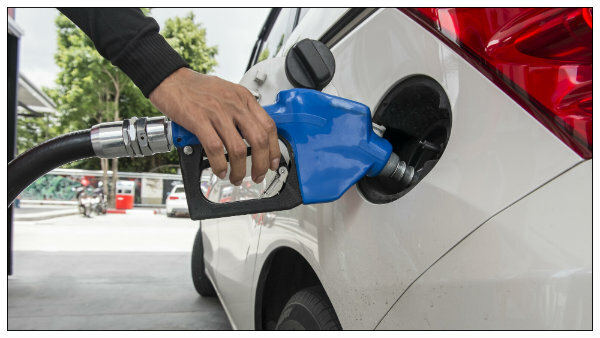 If you choose to use actual expenses, you are again limited to unreimbursed expenses for gas and oil. You cannot deduct mileage or expenses for charitable purposes if a significant part of the travel is for personal pleasure. If you move and qualify for the moving expense deduction, the IRS allows you to deduct either the actual expenses for miles driven or a standard mileage rate for the relocation. For 2013, the moving standard mileage rate is 24 cents. You can also deduct parking fees and tolls.